Your bank account is one of the most important things to understand about your personal finances. Without a bank account, it is difficult to be paid a salary or to budget effectively. You need to know the essentials of what makes your bank account work and tips and tricks to managing your accounts effectively, according to www.peachy.co.uk. If you want to know more about how to make bank accounts work for you, here are the ultimate 10 things you need to know about bank accounts. Many bank accounts for personal do not have any fees attached to them. This means you can operate them without being charged any extra money to have your account. However, changes in the financial environment mean that banks are looking for extra ways of making money from their customers. You should make sure that you read the small print of your bank account agreement to make sure it is free. If you are trying to build up your personal finances from a point where they were stressing you out, steer clear of bank accounts that have management fees. Does your account have a free overdraft? When opening your account, you should ask if your account comes with an overdraft. An overdraft is an amount of money that the bank puts aside in case you want to go ‘over’ and essentially borrow money. An overdraft is not a loan and it is meant to act as a safety net in case you overspend. Overdrafts should be used carefully. If you have an overdraft and then you continue to go deep in it, you will find yourself in a situation that you cannot dig yourself out of. Avoid overdrafts if you are someone who likes to spend money frequently on shopping trips, for example, because you will be tempted to use the overdraft. Most accounts do not have a free overdraft – they have an overdraft that you have to pay extra fees for in case you need to use it. One of the bank accounts you should open is a savings account. This can be one that you don’t touch or it can be a general savings account that you can access whenever you want. These savings accounts should always have interest, so make sure to find out how much interest you can get. For the best rates of interest, banks look for more money up front. Direct debits revolutionised banking for people in the United Kingdom, because it made it even easier to bills. Paying bills can be a hassle and it can be even harder if you receive money, want to spend it but you know you need to pay your bills. Direct debit took all of the hassle out of the way. However, direct debits can still have late payments on them as well if your debit fails to clear on time. Don’t just assume that if your direct debit doesn’t go through that you will not fall behind. Always follow up and make sure that you know what is going on with your finances. Standing orders are regular payments that you authorise that are not bill payments. For example, a standing order could be you sending N5000 per month to a savings account directly so that you don’t have to do it manually. There are current accounts that have standing order facilities to ensure that you can save the way that you want. Most banks have online banking options to make it easier for you to access your account. The growth of mobile banking has made it even more important for you to access your money on your phone. You should always choose a bank that has an excellent mobile banking interface to ensure that you can manage your finances on the go. Online banking also gives you the option of transferring cash to and from your account, from as little to as much as you want. 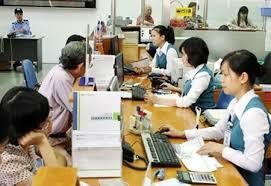 Premier banking involves bank accounts that are targeted towards people who earn more money. These are not standard accounts that just have a simple overdraft. Your premier account will probably have extra charges but you may have extra benefits to having that account for example. You should not try and save in the same account that you draw your daily expenses. Doing this will make it harder for you to save money. You might feel like you have achieved a lot in saving money in your current account and then you end up undoing all of your hard work by taking the money out again. Sometimes bank accounts can be closed by banks, with just a simple letter and no explanation at all. It’s important not to put all of your finances in just one bank for example for this reason because you never know what could happen. Deposit money in your bank accounts frequently to avoid them being made dormant. You should strive to deposit money into your accounts at least every two weeks or every month. Depositing money in your accounts also creates financial patterns of learning how to manage money correctly and this is especially important if you are trying to improve how you control your money. Having a bank account is not as simple as just opening an account and using your debit card. You need to know how to manage your bank accounts effectively so that you don’t run into financial difficulty. You should be aware of how to manage your salary once it’s paid into your account and not to be tempted to spend every penny that you have. With good management, your bank account can be used to plan your monthly finances.